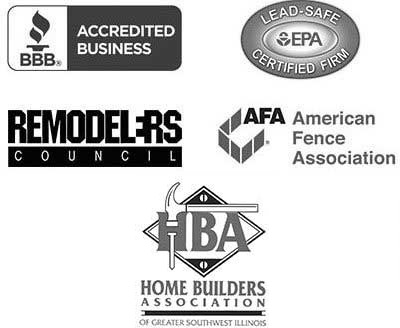 Chesley Fence & Deck is a leader in privacy fence installation in the Columbia, Illinois area. We have installed more fencing than any other company in the region, and we always use our own employees, never subcontractors, to install our fencing, to ensure that the fencing is installed according to our exacting standards and manufacturer specifications. Vinyl – American made and crafted by one of the top manufacturers in the industry – CertainTeed – our low-maintenance vinyl fencing is more durable that most other fencing on the market and will not fade or become discolored over time. Western Red Cedar – Our premium cedar fencing not only has an attractive, natural appearance that will improve the look of any yard, it also resists warping and cracking far better than treated lumber and is installed with 2 x 4 rails for increased durability. Aluminum – This fencing option has no visible screws or rivets for a seamless appearance, will not flake, and is available with two inch spaces between pickets instead of the traditional four to help keep children and small pets in the yard. 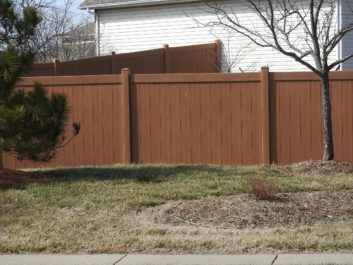 No matter what privacy fence option you choose to enhance your yard, you can rest assured that it will be protected by an incredible warranty. Our vinyl and aluminum fencing is backed by a lifetime warranty, and all our fencing is backed by a three year labor warranty for added peace of mind.